True, facts are stubborn things, but…people are more stubborn. In a battle between logic and emotion, emotion will win over facts most of the time. Just look at the US presidential elections. How rational is any of what has been happening there? Fact-checkers have been busy, but facts don’t seem to be what many voters are looking for. The Brexit vote was completely unexpected by those who thought their long list of economic arguments was enough to convince the British people to stay in the European Union. And in the Middle East, UNESCO just passed a resolution claiming that the Temple Mount and Western Wall in Jerusalem have no historical connection to Jews (despite thousands of years of evidence). These days, it feels like facts have been thrown out the window. The fact is (whether or not it will convince you!) that emotions are powerful things. Feelings of frustration, patriotism, nostalgia, jealousy or fear can easily outweigh well thought-out, logic-based arguments. And sometimes they can drive people to make up their own “facts” that, repeated often enough, take on a life of their own. But this doesn’t only happen in politics. Think about the communication campaigns out there trying to convince people to change their behaviors. What do most of them do? Lay out the cold, hard facts to persuade people rationally why they should do the right/healthy/socially beneficial thing. No wonder they don’t make much of a dent! So, how do you motivate members of your community to take action on your health or social issues? You don’t need to abandon facts altogether – they play an important role in providing information and establishing credibility. But facts alone are not enough. Combine your most compelling facts with an emotional appeal. This is not a cynical thing to do – this is how our brains work! Do research with your priority populations to find out what they care about. Align your behavioral “product” with people’s values to show how they can get what they want and need emotionally by coming on board. What happens when a French agency racks up over 50,000 likes on Instagram for a campaign aimed at raising awareness of alcoholism among young people? Success, right? By creating a fake account for a glamorous young French woman named Louise Delage and posting several photos on Instagram daily, each of which included her holding an alcoholic drink, the “Like My Addiction” campaign for organization Addict Aide hoped to show that it’s not always easy to tell that someone is addicted to alcohol. At the end of the 2-month campaign, the agency, BETC, revealed that Louise was not real, and shared the purpose of the campaign with their followers. After the reveal, web traffic to Addict Aide’s website spiked to five times normal and numerous media outlets covered the campaign. Clearly the agency knows how to run Instagram campaigns to get attention and gain a following (with more than 16,000 Instagram followers in just a few months). But even they admitted that their important message mostly missed the notice of Louise’s followers. Many have praised this stealth campaign, but from a behavior change point of view it has many flaws. I do love this kind of social media narrative edutainment, but it was clearly created with no understanding of behavioral science. Ultimately, this very creative and promising approach was only half a strategy. A carefully crafted character telling her story via social media can be compelling and draw people in to pay attention. Done right, her online life may feel very real. For the purposes of motivating behavior change, she should either evoke empathetic feelings of “she’s like me”or aspirational thoughts that “I want to be like her.” This they did well. The problem was that they posted happy (or neutral) pictures of a beautiful young woman with a drink in her hand for two months without depicting any consequences of her alcoholism. There was no indication that she was addicted to alcohol beyond the glasses in her hand, which escaped many people’s notice. If, once they had a critical mass of followers, Louise started posting photos – or including text in her Instagram posts – that hinted at problems in her life resulting from her drinking, the people who were engaging with her would start connecting the dots themselves. Having the ad agency say “na-na, gotcha!” and explaining their strategy at the end of the campaign is a case of telling, not showing. It takes people out of the narrative and has much less impact than if they saw a realistic depiction of the effects of alcoholism on someone they had started to care about (even if they found out she was not real). The other big problem with this campaign is that it normalized the behavior they were trying to prevent for two full months. Many of the people who saw images from her account likely did not see the big reveal at the end, and only took from the postings the subconscious connection of alcohol and a glamorous life – the equivalent of free advertising for the alcohol industry. Social media plays a significant role in establishing and reinforcing social norms. We have to be careful in social marketing with the imagery we use; attractive depictions of undesirable behaviors can far outweigh any negative text that accompanies the pictures and the message will backfire. Entertainment education can be incredibly effective, but it has to be done with an understanding of the behavior change models that work. By now you’ve probably been inundated with emails and articles urging you to keep your New Year’s resolutions. But for social marketers, the need for creating behavior change—whether your own or that of your priority populations—is year-round. Here are some tips from a social marketing perspective for ways you can build support for long-term behavioral shifts into your programs, that can also work in your own life (bonus!). Know what specific behavior you’re trying to change. Rather than just saying you want people to “lose weight,” make the plan more concrete: Eat 6 servings of vegetables every day. Have protein as a snack rather than carbs. Go for a 30 minute walk every morning at 8 am. Offering ways to track progress will provide a feedback loop that continues to motivate as success breeds success. The more automatic we can make the desired behaviors, the less we have to rely on willpower alone to do the job (which is often not a very hard worker!). Habits arise when something triggers us to take an action – it could be when we’re doing something else (e.g., eating while watching TV), when we feel a specific emotion (e.g., checking Facebook when we feel bored), or when we get a reminder (e.g., the 6 o’clock news comes on and we realize it’s time to make dinner). Find a regular event that you can link the desired behavior to, such as making a healthy lunch for work the next day right after you finish dinner. Or use reminders like a sticky note on your bathroom mirror helping you remember to floss your teeth when you’re in the right place at the right time. Create a situation that enables the desired behavior and makes it hard to veer off the chosen path. This could involve limiting the choices available (e.g., only buying foods that fit healthy guidelines), getting prepared in advance before decisions are made in the heat of the moment (e.g., setting up an automatic monthly transfer of a portion of your salary to a savings account), or surrounding yourself with reminders of your ultimate goal (e.g., taping a picture of your kids onto your cigarette box to help you remember why you want to quit). These tips are just a few of the ways that a social marketing perspective can help you help your community to become healthier or better off. Behavioral science insights can be applied to your New Year’s resolutions as well as creating positive change throughout the year! To celebrate the 20th anniversary of Weinreich Communications, I’m thrilled to share with you a new ebook I created to help social impact professionals get started using social marketing in their programs. This free 22-page publication is designed to inspire those working in nonprofits or the public sector, and others seeking to create health and social change in their communities, to use the effective, systematic social marketing approach. 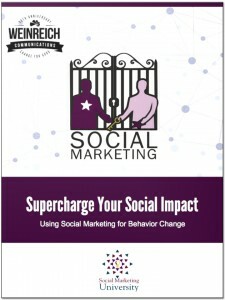 Even if you’re already a social marketing pro, I hope you’ll download the ebook to share with your colleagues or clients who may not be as familiar with how marketing can be used to create social impact. 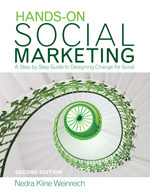 It lays out the key principles of social marketing, provides lots of resources and has a section for those who are considering social marketing as a career. Please help me spread the word about social marketing and let me know what you think about the ebook. Thanks! I’ve had a fun summer as one of the main writers for the Miracle Mile Paradox, an alternate reality game a group of us from Transmedia LA decided to create as a learning experience (for us as designers). I was originally thinking about how we could bring in a nonprofit angle, a la Conspiracy for Good, but a cause marketing strategy didn’t seem to fit well with the story. Luckily, I was able to figure out a way to bring in my real passion, which is transmedia entertainment education, and even draw on a project I’m managing at the Entertainment Industries Council working with (primarily) TV writers and journalists for accurate portrayal of mental health issues. When the opportunity arose to write for some of the characters, I decided to go for it, as the realtime portrayal of a character via social media had always intrigued me. While there was an overarching storyline for the game, which took place over several months, there was a lot of leeway for character development and story arcs for individual minor characters. With almost 30 different characters in the story, with several writers covering two or more characters and quite a few more people who started creating a character and gave up fairly quickly, there was a lot of opportunity for interesting stories to play out on the sidelines of the main storyline. The main story centered on an inventor named Rex Higgs who discovers blueprints for a machine called a “time switch,” builds it, and ends up on the wrong side of an evil multinational financial investment company called the Agent Intellect Corp (AIC). One of my characters, Lauralee Simcoe, is a corporate communications assistant working at AIC whose only functional role in the game is to have players hack into her online account at AIC for information. I created a story arc for her that involved her experiencing clinical depression, getting treatment and recovering. The strategy behind the narrative was to engage the game participants by getting them emotionally involved in Lauralee’s story, with elements of education, modeling and an accurate depiction of potential roadblocks and their resolution. I’ve compiled excerpts from the story across various social media platforms to give you an idea of how Lauralee’s depression subplot played out over the five months or so of the game on the Storify site. I’ve made the case previously for how stories can play a role in your efforts to bring about social change or individual behavior change. One of the best ways to draw people into your story is to provide opportunities for them to participate — whether they can contribute to building a rich storyworld, or actually have a role in the direction of the narrative. When someone feels like they are part of the story unfolding around them, they can vicariously experience what is happening to the characters. This type of immersion done well can evoke empathy, get an individual to think about how they would respond if they were in a particular situation, and/or frame their conception of how the world should work. Collaborative storytelling is an experience in which multiple people contribute to the course of a narrative. There are many forms this could take – an exquisite corpse project, in which one person picks up the story where the last person left off; LARPs (Live Action Role Playing) and other role playing games like Dungeons & Dragons; interactive stories where the audience can vote on what action the characters should take next; and shared storyworlds, in which parallel or intertwined story-related content may be created collaboratively by a group of people. As I’ve been involved in several transmedia projects – both on the inside and as a participant from the outside – I’ve been struck by how emotionally invested people can get in the story and with the characters. I wanted to give other social marketers and health communicators a taste of how a participatory storytelling project might work, so in advance of the CDC’s National Conference on Health Communication, Marketing and Media (HCMM) in Atlanta, GA on August 7-9, I set up an experiment to run concurrently with the conference. The story started a few days before the conference as the wizards were gearing up to head to Atlanta, and continued through the end of the conference. The @HCMMstory Twitter feed ended up with 23 followers, about 10 people contributing content, and about 40 tweets to the story. Most of the tweets were in the days before and first day of the conference. As time went on and conference fatigue set in, fewer and fewer tweets were posted to the hashtag. I found it increasingly challenging to follow the CDC conference and simultaneously come up with clever content for the story, and was so busy at the event that I didn’t have much time to devote to rallying the troops to contribute. I’m hoping that the other participants found it fun and that it was a taste of what could be done on a larger scale with a clear behavior change objective. You can see the tweets on Storify to get a sense of how the story played out. Rick Austin at the KTExchange did a short interview with me at the conference about why storytelling is important for researchers, and about the HCMM Story experiment. A great example of this type of participatory storytelling for change is happening right now at Ed Zed Omega – a collaborative online “thought experiment” following the stories of five young people who have dropped out of school. Created by Ken Eklund, who was also behind the collaborative alternate reality game World Without Oil, Ed Zed Omega encourages participants to interact with the characters via social media and to submit blog posts and other content sharing their perspective and advice on school and education. I also love the model used by Beckinfield, which encourages people to create video diaries as a character they create themselves living in the fictional and supernatural town of Beckinfield, CA. Weekly emails provide participants with updates on what is happening in the town, from which they can create their character’s storyline and collaborate with others. Those who just want to view the content can do so, jumping from character to character to experience the story from different angles. Imagine this model being used for a community imagining how to tackle a shared problem like youth violence or pandemic flu, with different types of characters — or people responding as themselves — addressing the issue in their own ways. In responding to a fictional prompt (or an actual situation), people would have to think through the possible courses of action and their implications, and see how their decision plays out with the other participants. If you want to see how the Harry Potter theme could be played out more fully to incorporate social change objectives, take a look at what the Harry Potter Alliance has been doing. 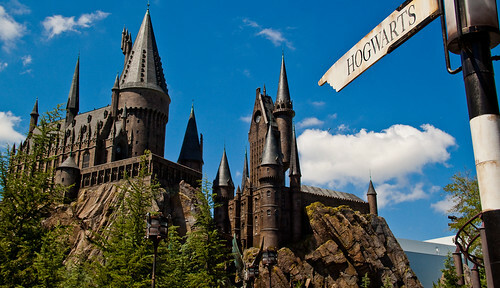 By framing social issues as challenges from the series, the HPA rallies fans to take action in the real world and be heroes like their beloved characters. Think about how your own projects could benefit from bringing people together to tell their own stories and how weaving a new narrative out of the separate strands could catalyze change for good among the storytellers and those who engage with the story.